With nationwide heightened concerns for school safety, RSC is taking a “proactive approach to campus security,” President Jeanie Webb wrote in the 2013 annual security report released in December. The Office of Safety and Risk Management will complete revisions to the RSC emergency response plan by Feb. 1; every classroom will include an updated, tri-fold packet detailing emergency response procedures, Mike Templeman, safety and risk management coordinator, said. RSC aims to surpass requirements on issues including workplace safety, weather emergencies, evacuation procedures, and response plans for various threats, he said. The new packets provide “clear-cut, compact guidelines to each (emergency) situation,” Templeman said. Training for faculty and staff will follow after administrative review, and will include drills to “make sure people understand these guidelines,” which will consist of three-to-four step emergency response procedures. 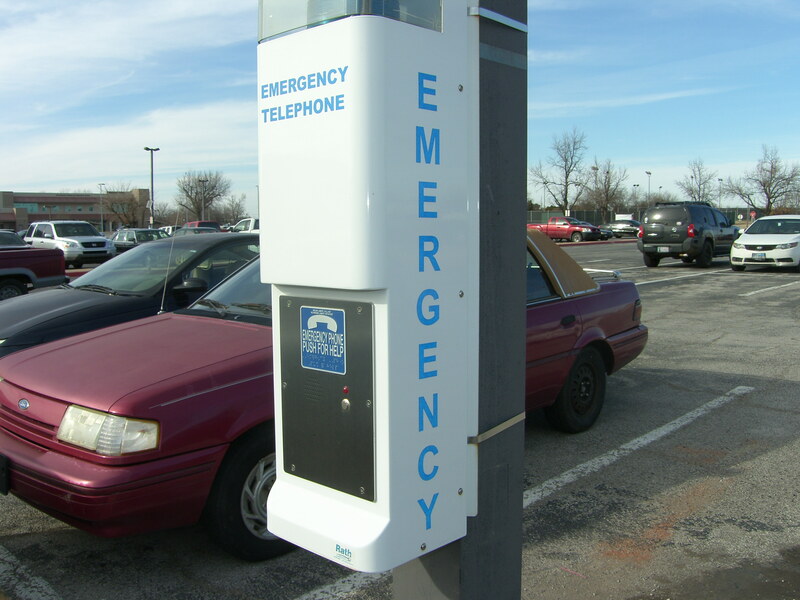 There are 23 strategically located emergency phone kiosks on campus that connect directly to 911 emergency services, and emergency phones in every classroom call campus security, Templeman said. Emergency notifications are also available through email, website and cellphone services; you can text “ROSE” to ATT411 (288411) to receive notifications. Templeman said safety and risk management closely monitors potential safety threats of all kinds, including severe weather and tips about criminal behavior on campus, and considers warnings from law enforcement. The staff also monitors campus security cameras. Two CLEET-certified security officers patrol campus at all times and can accompany people to their vehicles upon request, Templeman said. The Midwest City Police Department also maintains a constant presence at RSC. The college released the 2013 annual security report in December in accordance with the Jeanne Clery Disclosure of Campus Security Policy and Crime Statistics Act. The report included statistics for 2010, 2011 and 2012, which indicated 27 reported on-campus crimes, ranging from liquor law violations to burglary. The majority of reported crimes occurred in 2010, with a steep drop in 2011 and 2012. “We’ve ramped up security and monitoring, and all these proactive things to cut off any type of assaults, burglaries, anything like that,” Templeman said. “We have a fire department, literally, 200 yards away from the campus,” and when contacted, the Midwest City Police Department can respond within minutes. Templeman said he advises the RSC community not to be afraid to speak up about suspected danger. “If you see suspicious activity around the campus don’t ever be afraid to call security, that’s what they’re here for. Don’t ever hesitate,” he said. Every student, faculty, and staff member received an official RSC email containing a link to the annual security report online. A copy is also available in the Student Center Room 130 and the Office of Administrative Services.